Sinajana is just up the hill from the capital city of Hagatna. This village is known for its sidewalks that cover the entire village. It is made up of mostly residential areas, with a few small convenience stores throughout. Its population is estimated at 3,000 residents. Sinajana is surely a great place for any growing family. 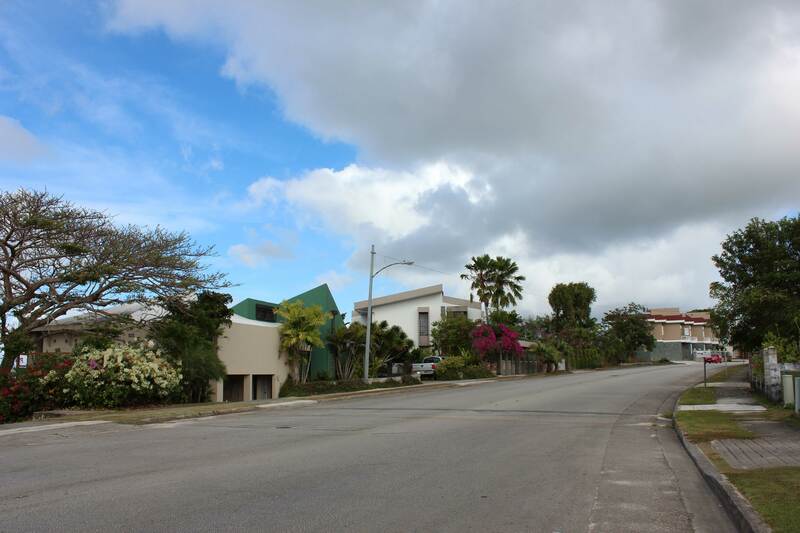 Sinajana is five minutes away from the U.S Naval Hospital in Agana Heights. For those who want to travel up north like Dededo, it would most likely take you fifteen minutes or so. There are two main schools located in the village: Carlos L. Taitano Elementaru School, a public school, and Bi Baumgartner Memorial School, a private Catholic school. For those students who will be attending other schools outside the village, such as a public high school or DoDea, there are bus stops located around the village for all your conveniences. Take some time for an outdoor adventure in Sinajana. The Sinajana Community Center house the Senior Citizen Recreational Center, the Chief Hurao Chamoru Cultural Camp, and sports facilities for basketball and baseball, a great opportunity to spend some time with the family. Since there are sidewalks at every corner of the village, it is a great place to go for a morning run or evening walk. There is hardly any traffic in the village so it is very peaceful and quiet. You will find convenience in Sinajana as down the road from the village is the Agana Shopping Center, a mall style shopping complex filled with retail stores, restaurants, and a movie theaters. 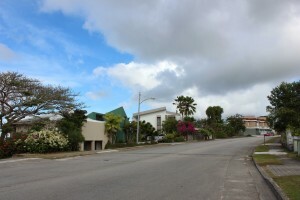 The Payless Supermarket, one of Guam’s most popular super markets, has a convenient location right inside the village. If you need a quick bite or a drink, across from the supermarket are two gas station. One of the most know landmarks of Sinajana is Champ’s Hotdogs. Located right along Route 4, Champ’s Hotdogs is famous on Guam for its service and quality. They serve a variety hotdogs, hamburgers, milkshakes, and more, all fit to fill you up the American style. Sinajana is truly a village of its own. It is a great place for a growing family that is not too far away from the downtown area of Hagatna. It is a village with a strong community that takes a lot of pride and care for Sinajana. It is very beautiful and tranquil, and it will not disappoint those who call Sinajana home.